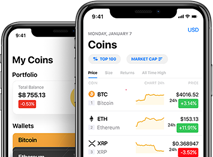 Coinut is a Singapore-based cryptocurrency exchange for bitcoin, cryptocurrencies, futures, options and binary options trading. Founded in 2013, by one of the core developers of Litecoin, They are one of the earliest cryptocurrency exchanges in Singapore. They are headquartered in Singapore, with subsidiaries in North America (Canada) & Europe (Switzerland).